Pastry Pieces hand made decorations add a professional touch. Chocolate bowls to hold sorbet or butterflies to decorate your desserts, shiny pulled sugar flowers and glasslike edible bubbles are available for your next party. An original work of art created just for them. Whether a birthday, anniversary, housewarming, or "just because", edible art gifts are an inspired choice to make any occasion extraordinary. 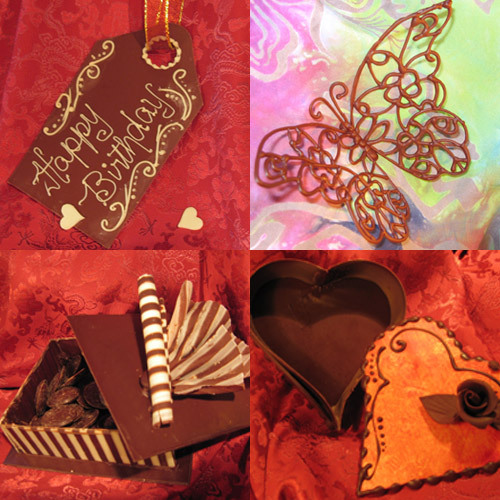 Hand made chocolate cards and gift tags, chocolate boxes and edible replicas of favorite photos are some of our most popular items. We can make your cake and decorate it, too! Order your cake from us and get amazing quality cake in custom flavors from classic white with fresh strawberries and cream to spiced bourbon filled with caramel bavarian. Hazelnut cake with fresh pears and mascarpone, sugar ribbons, pearls, and hand piped lace? No problem. Edible replica of cartoon characters? Absolutely. We will work with you to create both the taste and look you really want. 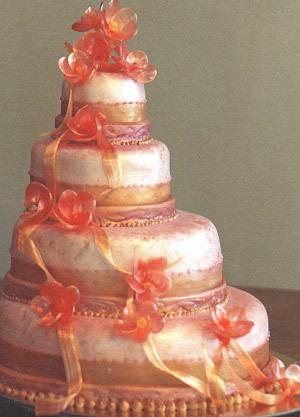 Order a complete wedding package including cake topper and party favors or a single rose for a special birthday cake. Anything is possible in this fabulous world of culinary creations. Sweet art combines with the laws of architecture to transform your vision into an edible sculpture that represents your event. E-mail us about your event or call to discuss your needs. We will create the perfect solution. Caterers, cake makers, bakers and restaurateurs – we can help you fill your orders and stand out from the rest. All the information you need to create this cute cottage from the gingerbread recipe to house templates. 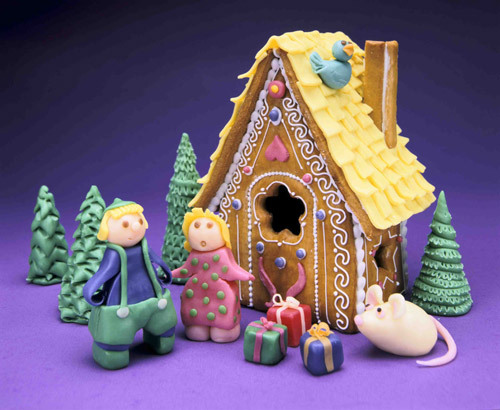 Click here to download instructions to make your own gingerbread house.